Basic engineering package, Detail engineering, Supply of key equipment, Erection supervision, Commissioning and start-up. Supply of technology, engineering package and erection supervision in 1993. 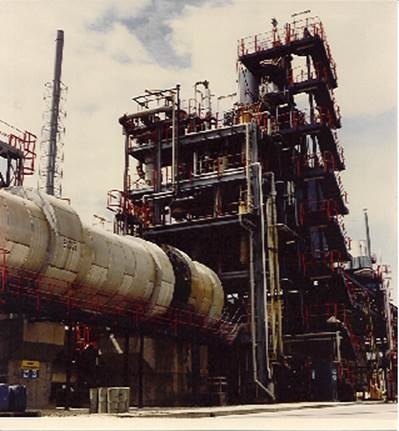 Revamp and scale-up in 1999 from 10,000 to 15,000 MTPA of Hydrofluoric Acid. Raw materials are conditioned and pre-reacted up to 50% conversion in the proprietary pre-reactor capable of handling the most corrosive part of the reaction. Debottlenecked in the revamp project bv improving the heat input and heat transfer in the reaction stage.